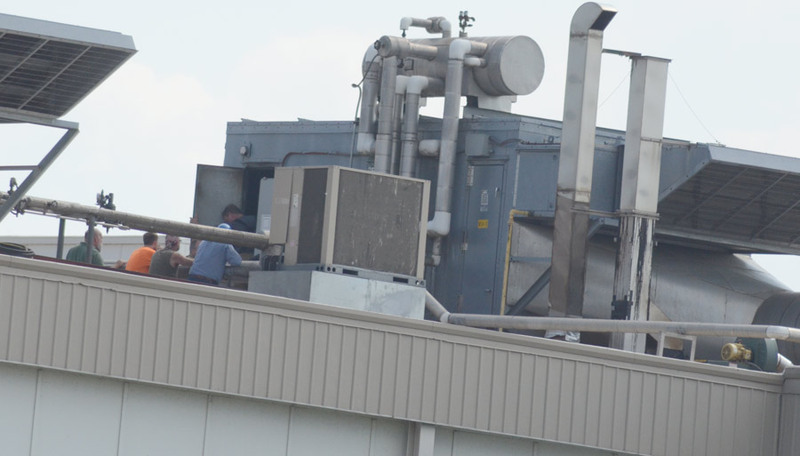 MILFORD — Milford Fire Department was called to Maple Leaf Farms, Serenade Food division on CR 200E, when a fire broke out on a roof top air conditioner. 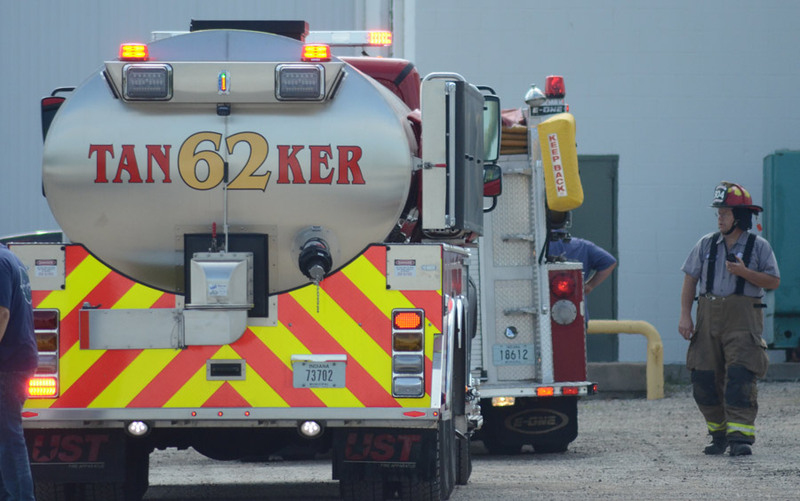 The call was received at approximately 4:40 p.m. today, Thursday, June 28. The fire was extinguished before firefighters could arrive at the scene, but department members continued to check for any hidden fire. 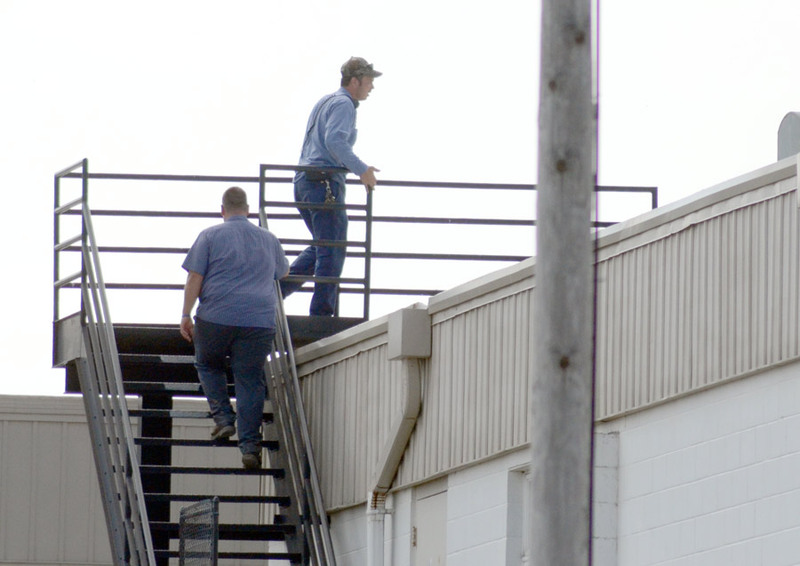 Employees in that portion of the building were evacuated and had gathered in the parking lot. 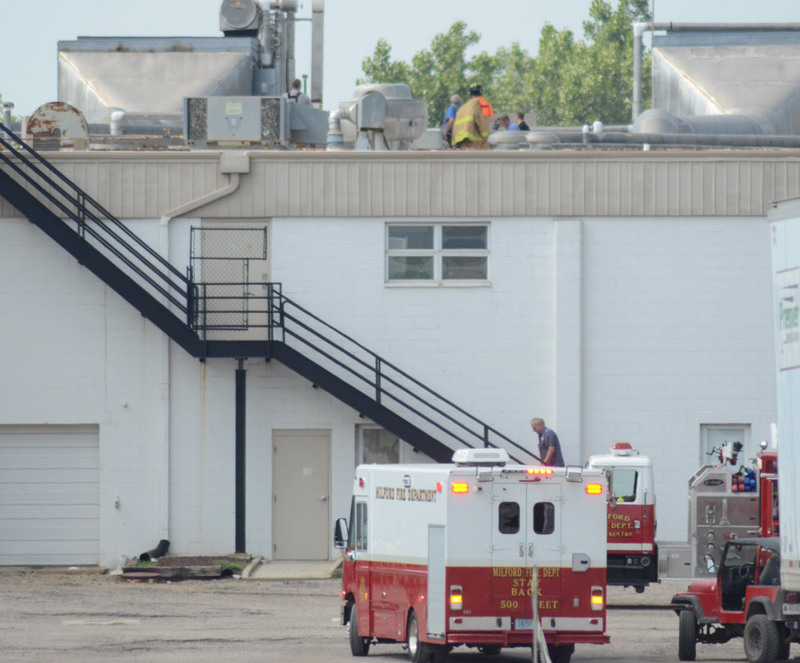 Firefighters cleared the scene at 5:17 p.m.
An employee of Maple Leaf Farms and a Milford Firefighter climb the steps to the roof to check the air conditioner. Brian Haines, right, coordinates efforts on the ground with those on top of the roof. Personnel can be seen on the roof checking on the air conditioning unit.